BALTIMORE (April 8, 2015) – The Maryland Department of Health and Mental Hygiene (DHMH) is warning consumers about lead contamination found in Bo-Ying Compound manufactured by Eu Yan Sang (Hong Kong), a powdered product marketed for the treatment of a wide array of conditions in infants and children. DHMH is working with the U.S. Food and Drug Administration (FDA) and public health officials in other states to alert consumers to the hazard of this product. 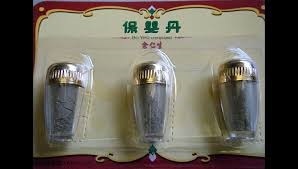 Parents and caregivers are advised not to purchase or use this product. Anyone using this product or providing it to a child should consult a health care professional as soon as possible. Children are especially sensitive to lead exposures, and any lead exposure should be avoided. Even low levels of lead exposures in children have been associated with impaired cognitive functioning, including reduced IQ, behavioral difficulties and other health problems. Exposure to lead can also cause anemia and can damage the central nervous system, kidneys, and immune system. DHMH Laboratories have found elevated levels of lead in these products. While the DHMH is unaware of any cases of elevated blood lead in Maryland from these products, FDA has reported one adverse event in an 18-month-old child who was given this product. 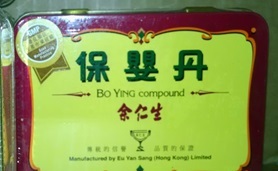 Health care professionals and consumers are encouraged to report any adverse events in individuals that have used Bo-Ying Compound manufactured by Eu Yan Sang (Hong Kong) Ltd or any other alternative medicines to Maryland Department of Environment’s Lead Poisoning Prevention Program at 410-537-3825 or 1-800-633-6101 ext. 3825, or Worcester County Health Department at 410-632-1100.